Material analysis: Visual observation may not be enough to correctly identify materials. In such cases we undertake micro-sampling in order to precisely identify stones, mortars, paint layers, conservation materials and salt efflorescence. 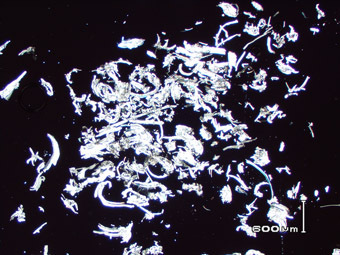 We use a range of techniques, including optical microscopy and micro-chemistry. In certain cases we can also offer quantitative and semi-quantitative measurements of material composition.